Travel charger for 24V Li-ion e-bike batteries with a coax plug (also known as a tulip connection). Ideal for on your way! Using the cigarette socket in the car it is possible to charge the battery in the car. 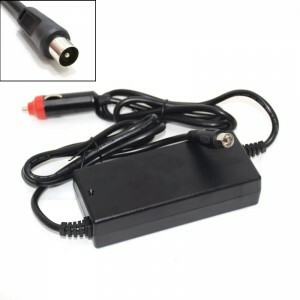 From now on, you can easily charge your e-bike battery with this travel charger! This charger has a 12V cigarette connection. Using the cigarette socket, it is possible to charge the battery in the car. This is easy if your bikes are on the back of the car. Additionally, a travel loader can be fun if you are on the road and not anywhere in the mains (220V).